Our vision is for Sonning Parish Council and the local community to work together to protect and improve the social, recreational and environmental well-being of Sonning and the lives of all who live, study, visit or work here. To provide effective, efficient and accountable local government for Sonning residents. To listen to and to value the opinions of the community which it serves, thus enabling residents to be involved in decision making and future development plans which will affect their environment or lives. To engage in open dialogue with all residents to understand their needs and concerns and seek ways of assisting in meeting them. To be a strong voice to represent residents views to Wokingham Borough Council and to other agencies where appropriate. To engage positively in the protection and improvement of both the built and natural environment within the means of the council. To achieve the best financial value in the provision of high quality amenities and services for residents. To keep residents informed about the work undertaken by the Parish Council and about local issues. To be open and transparent in all aspects of its operation. To pursue excellence through continuous improvement, training and self-evaluation. 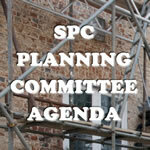 To hold monthly Parish Council meetings and an Annual General Meeting to which the public are invited to attend. To provide a public forum at every Parish Council meeting in order to increase public involvement in the community. To work in partnership with other statutory bodies, voluntary groups, agencies and individuals to ensure a high standard of amenities and services to meet the needs of Sonning residents. To respond on time to relevant consultation documents including submitting the Parish Councils views on planning applications. Also, to ensure that these responses are in line with local policy and are in the best interests of Sonning residents. To set an annual precept. To manage the Parish Councils finances in such a way to ensure best value for residents whilst providing transparent and accountable records of expenditure. To support charities and voluntary organisations within the parish through grants and where possible, practical involvement. To publish agendas of upcoming Parish Council and Planning Committee meetings on the four Parish Council noticeboards and the website. 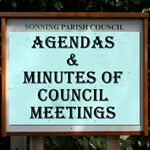 To publish the minutes of Parish Council and Planning Committee meetings on the Parish Council website. To report on Parish Council activities and other local information and news in a timely manner via the Parish Council Website and a biannual Newsletter delivered to every residence. To ensure that Councillors and the Clerk have opportunity to attend high quality training and development courses.